I could easily remove the power from the fuse box. It is safe because it also has a fuse. This review is about item#9938266. With this fuse, the lid of the fuse box will be closed. This review is about item#09938275. It is a powerful fuse power supply. Only the other fuse power supply is insulated to the solder of the fuse and the wiring, but only the low back fuse is not insulated. Mr. Eamon, why? Is it? So, I use it after resin coating myself before installation. This review is about item#09938284. It is convenient and often used. I bought two in the summer of last year. It is a product with lead wires soldered to one terminal of the fuse. However, this soldering was bad, and it ran out in one week. When looking at 2 well, the amount of solder is quite different. Thanks again it is redoing from the task of removing the instrument panel again. Person who purchases from now on will have to do twice the work if you do not install after checking the soldered part before use. This review is about item#09938266. I used six rear fuses, but the solder of the fuse was removed while installing it, I soldered it up and used it. Please improve the solder of the fuse. Because it is compact, the fuse part also fits into the fuse box. It is also two. After that, I do not know how much durability it is, but I am satisfied for the time being. This review is about item#09938257. Used to distribute power from Axela's fuse box all the time. Since this product itself has already been used in other places, it is safe for quality. This shop sells at a cheap price, I am planning to use it next time because it is polite packing and quick dispatch. Fit It was used to take power from the fuse box of GE 6, but I was concerned that the wiring of the delivered goods protruded to the right side. I tried to pierce the fuse case thought that it should be attached anyway, but it is hard to pierce. Finally I got stuck, so when trying to wire it, the wiring broke away from the pollution. As far as viewing the product image, there is wiring on the upper right. I guess it is not good to hit the case that is still protruding to the right side? At the same time I bought a mini fuse power supply, so when I used it, it was easy to install, there was no impossibility of wiring, I got a safe power. 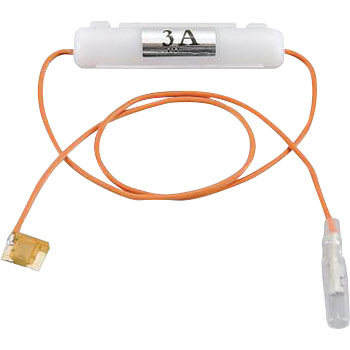 Since the low-back fuse and the mini-fuse have the same connection, we recommend that you use a mini with good workability.